« SAFETY: Keep Credit Card Information Secure with our BRAND NEW bag lined with high-tech nano-metal shielding material. Prevent credit card fraud, harmful signals and short distance wireless scanning. « BENEFIT: Ensure that the chips of cards and passport information are not being illegal stolen or copied by remote electronic devices. Effectively prevent important confidential information on your card others from leaking. « MULTI FUNCITON: The backpack is constructed from 300D Polyester; this is an extremely comfortable and lightweight bag. A security backpack in a fashionable urban design. The inside pocket with RFID (Radio Frequency Identification) security technology keeps your card and other devices data safe. There is one main compartment with an elegant zipper cover that prevents people from accessing the contents while on the go. With USB connection (power bank not included) you can charge on the go. The bag boasts a padded pocket for laptops up to 15 inches. Padded backside and adjustable shoulder straps. « DURABLE: The bag is made of superior quality polyester fabric that offers high performance for active lifestyles. Durable and lightweight this bag not only offers RFID protection, however can protect your contents from minor spills and dust. 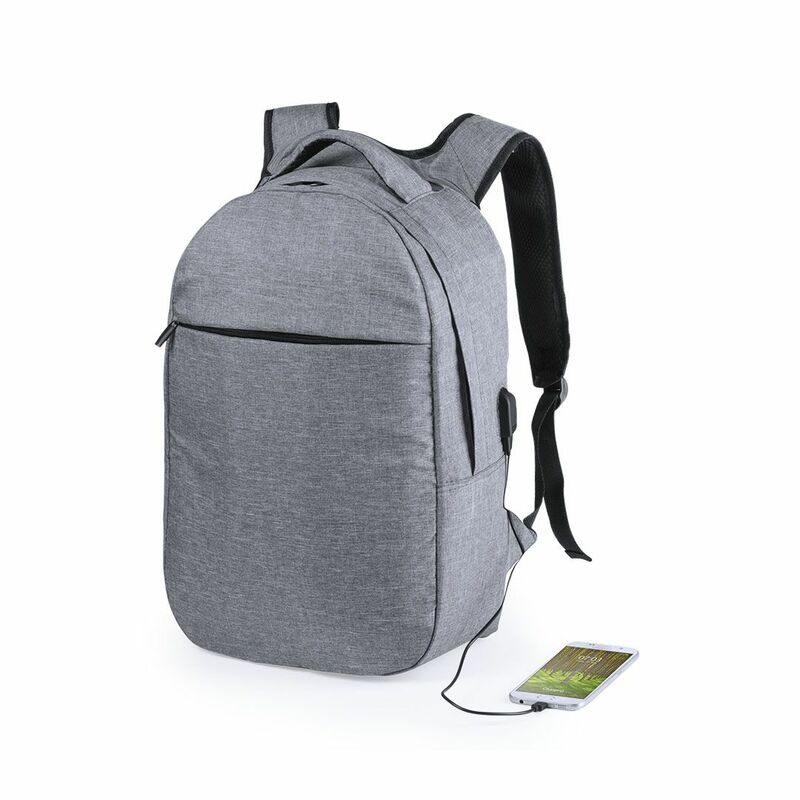 « ON THE GO: The backpack is medium sized and in a stylish shade of grey it is suitable for adults and kids and is a unisex, practical gadget for travelling. Also ideal for sports / football / hockey / running / jogging / hiking / walking / daily commutes / school / work / college / university / gym / training / yoga / workout… the list is endless!